One of my favorite all around oils, Peppermint, is a very popular and powerful herb that has a strong, clean, fresh, minty aroma. It is one of the oldest and most highly regarded herbs for soothing digestion…not to mention a powerful aroma that many people have come to love over the years, throughout its many uses! 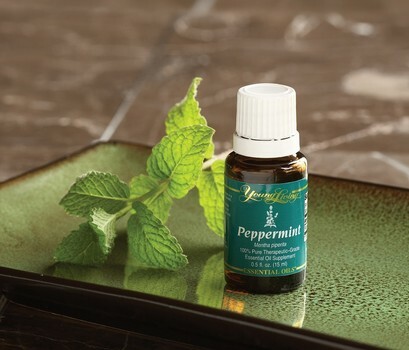 Jean Valnet MD studied peppermint’s supportive effect on the liver and respiratory systems. Other scientists have also researched peppermint’s role in improving taste and smell when inhaled. Dr. William N. Dember of the University of Cincinnati studied peppermint’s ability to improve concentration and mental sharpness. Alan Hirsch MD studied peppermint’s ability to directly affect the brain’s satiety center, which triggers a sensation of fullness after meals. This powerful essential oil is often diluted before topical application. Peppermint may also be used to enhance the flavor of food and water. It is also excellent to reduce inflammation and the menthol (34-44%) and methone (12-20%) create a cooling effect. Peppermint has an approximate ORAC of 373,455 (TE/L). TE/L is expressed as micromole Trolox equivalent per liter. Peppermint oil is known to be anti-inflammatory, antitumoral, anti parasitic, antibacterial, antiviral, anti fungal, a gallbladder/digestive stimulant, and to have pain relieving properties. Add topically to your temples or neck, or put a drop on your tongue for a burst of energy to enliven the senses! Add a drop to coffee to create a peppermint espresso-like flavor! How to Use: For dietary, aromatic, or topical use. When using as a supplement, dilute one drop in 4 fl. oz. of liquid such as goat’s or rice milk. Possible skin sensitivity. If pregnant or under a doctor’s care, consult your physician. Dilution recommended for both topical and internal use. Do not apply neat to a fresh wound or burn. Dilute before using on sensitive areas such as the face, neck, genital area, etc. Keep out of reach of children. Avoid using on infants and very small children due to Peppermint’s strong menthol constituents. Avoid contact with eyes, mucus membranes and fresh wounds or burns. 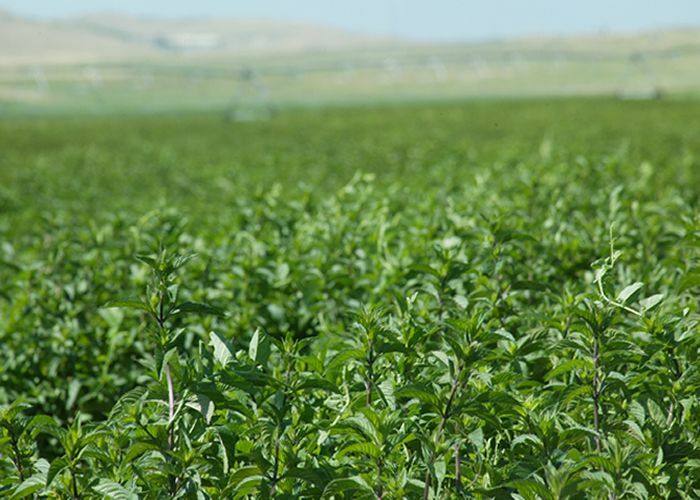 Field of Peppermint! – Probably smells amazing! There are many other ways of using this specific oil, play with it and see what you come up with! As with any essential oil, if you think you may have a skin sensitivity, always test a spot on the skin before using topically or internally. Refer to the essential oil user’s guide for information on which oils are safe for internal use and which ones should be diluted or used with special care. As with any essential oil, use with care and discontinue use if you have any kind of allergic reaction. For more information about this or other essential oils, give us a call at 541-344-8912 or visit us in Eugene, Or. Many people who are new to essential oils say things like, “But what will I ever use these for?” and “I’ve never needed essential oils before, why would I start using them now?” With this in mind, and in order to help inform and educate people with questions such as these, as well as to re-excite those who already use and appreciate the properties of these natural plant essences, we are starting a series which will fill you in on some of the goods as to how and why essential oils work and how they can be applied to your life. Each post will focus on an individual oil or blend and how it can enhance your life both physically and mentally. Essential oils are more than just wonderful smells. While most of the oils and blends do have a pleasant aroma, there is so much more to these volatile oils than meets the eye. There is also a big difference between essential oils you purchase anywhere, which are likely to be diluted or cut with fragrances other than the oils and their essences, and 100% pure therapeutic grade essential oils. More on that in future posts, but today I want to focus on one specific amazing oil: Lavender. Known as the “swiss army knife” of essential oils, this beautiful plant is amazingly versatile and one of the most powerful plants for natural remedies of both physical and emotional stressors. French scientist René-Maurice Gattefossé, regarded as the Father of Aromatherapy and the one given credit for the word itself, discovered the healing virtues of the lavender plant when he burned his hand during an experiment. He is said to have stuck his hand in a tub of lavender, only to find that the burn healed very quickly and with little scarring, teaching him of the plant’s ability to promote tissue regeneration and speed wound healing. 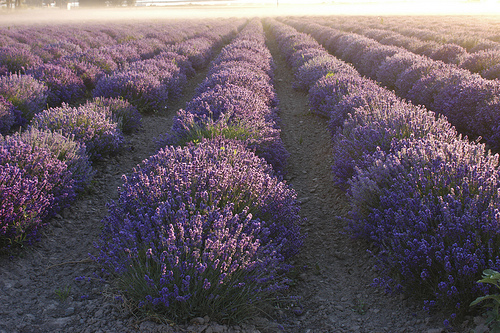 Lavender is not only refreshing and stimulating for the mind and body, it can also help with restful sleeping. Add a drop or two to your pillow/sheets before bed. It can also be inhaled for relaxation, just apply 1-2 drops to palms and gently rub palms together before cupping hands around nose and mouth and taking a series of deep breaths. Apply it neat (directly to the skin) to burns, cuts, and scrapes for faster healing time and lessened scarring. Apply with massage oil or carrier oil to sore muscles or other aches and pains, can also be applied neat to the skin. Apply 2-4 drops to chakras to help with energy balance, and/or to Vita Flex points. Diffuse in an essential oils diffuser. Use with care and discontinue use if you have any kind of allergic reaction. You can also try using a blend containing lavender oil such as: Aroma Siez, Awaken, Brain Power, Dragon Time, Envision, Forgiveness, Highest Potential, M-Grain, R.C, and Trauma Life, or make your own blend. Lavender blends well with Clary Sage, Nutmeg, any citrus oil, and others. “I always carry lavender in my purse. No matter what the problem, lavender seems to help. I have arthritis and fibro, so I rub it on my painful & numb feet, any sore muscles, my thumbs, knees, shoulders, and neck. It helps for relaxation too – I put a drop under my nose or on my earlobes. For a cut or burn, lavender aids in healing (for cold sores too.) If I have any problem and am not sure what oil to use…I depend on my lavender. Satisfied client had this to say…. Become a Fan of The Eugene Wellness Center on Facebook! Click to subscribe to this blog and receive email updates on our News & Events. Get hits-Get Search Engine Optimization!